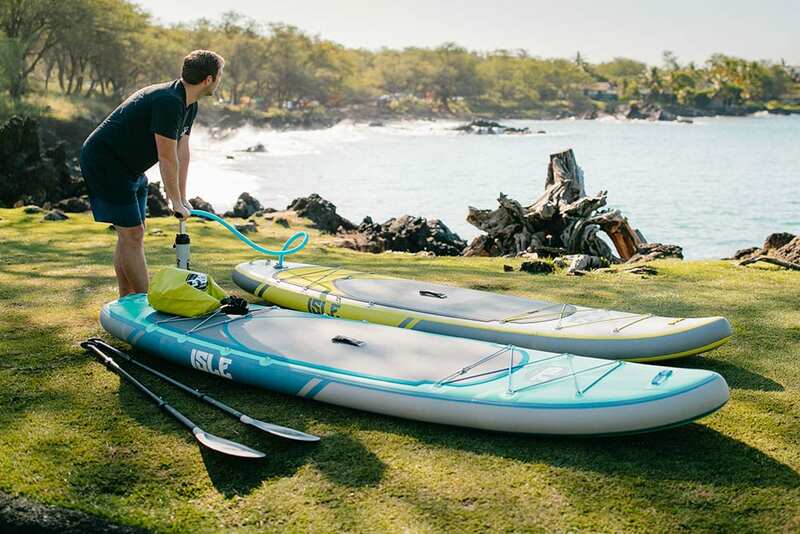 Explore secluded lakes and trek into any hard to reach destination with our ultimate expedition explorer paddle board. 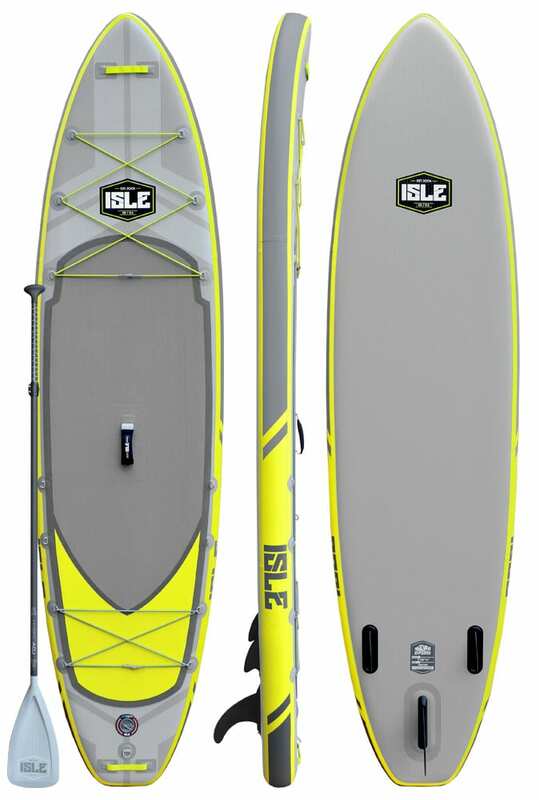 The ISLE Explorer Inflatable Stand Up Paddle Board is the touring utility SUP made for the outdoor enthusiast. 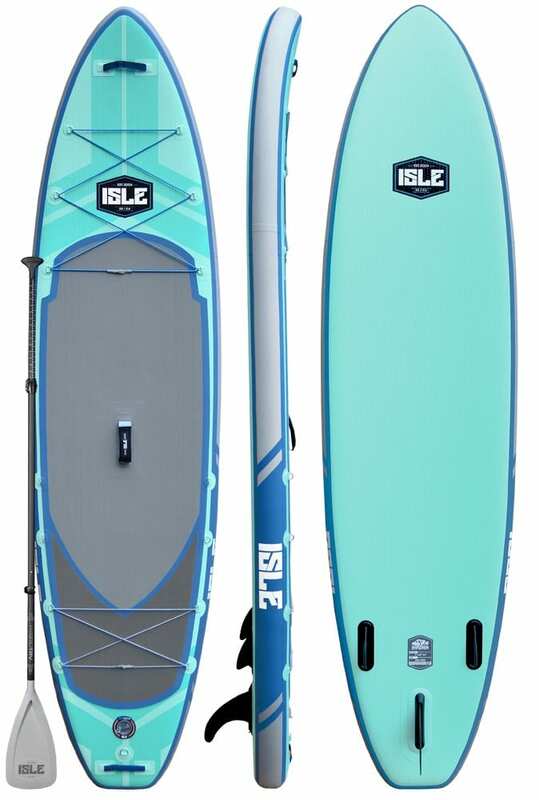 This board was designed with functionality, performance, and convenience in mind; A slightly wider template on our inflatable SUPs allows for a sturdy, tough and stable platform while the 6-inch thickness increases the volume to float more weight and additional gear. A three-fin setup is perfect for tracking and balance while the increased rocker cuts through flat water and handles chop. 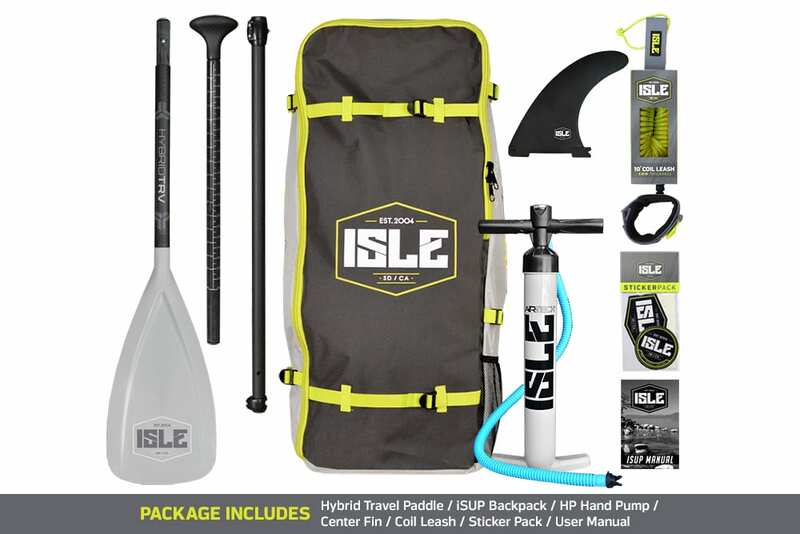 Equipped with nose and tail handles aiding in transporting fully loaded boards along riverbanks or shorelines plus front and rear bungee system when you’re looking to bring extra gear. In addition, this board has 6 touch points in the front and 4 in the rear for extra tie-down points with bungee cords for a cooler. Because this board is constructed with military grade outer skin, it is tough and durable when in contact with rocks, car roofs or any hard surface so you don’t have to worry about dings or scratches. A great board that is durable and strong enough to glide through waves and flat water, our explorer paddleboard is perfect for all paddlers. 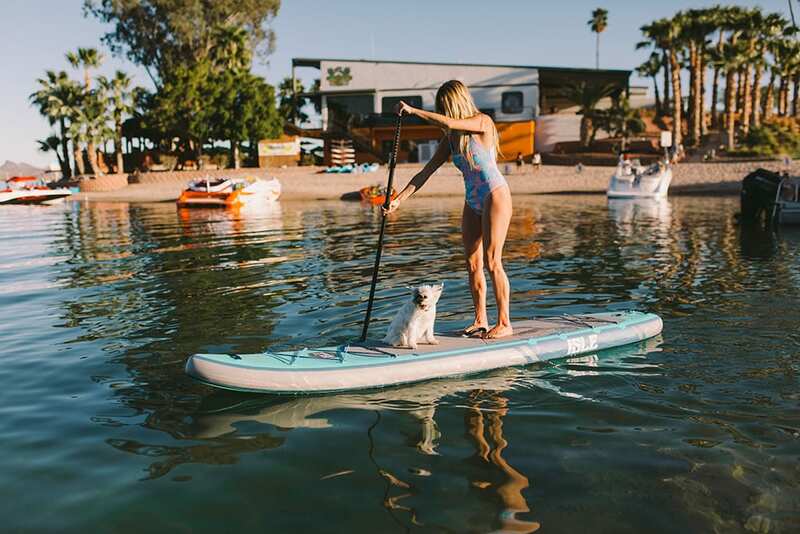 Equipped with deck space, stainless steel d-rings, bungee cords, carry handles, a pressure gauge, and more, this stand up paddle board is the perfect toy for any adventurer at heart. To learn more about our hard board options or inflatable SUPs, check out our website or call our experts today. 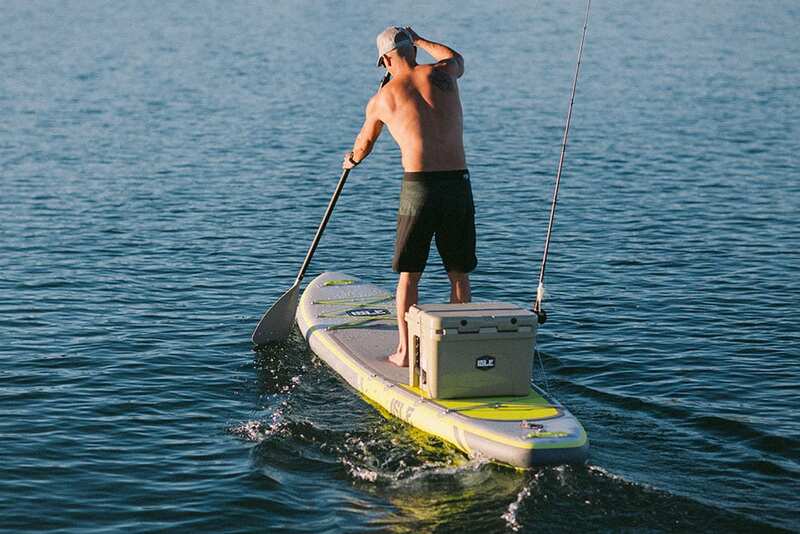 Additional center rail mounted D-Rings give you the option to add more bungees to your SUP and/or securely strap your cooler or tacklebox without the concern of it falling in.